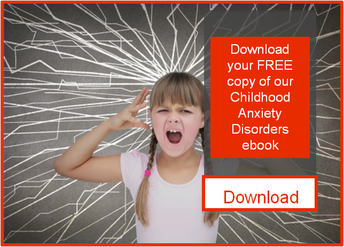 Children can encounter many different types of anxieties and fears as they go through early childhood. Separation anxiety is one of these types of fears. Empathize with your child and to let them know that you are his/her forever family. Let your child know that they are not alone and that many children have these same concerns and fears. Avoid giving too much reassurance to your child because this can lead to increased anxiety and dependence on you. Use books as a resource. Books that focus on transitions and feelings can be very helpful at this age. The Invisible String by Patrice Karst, The Kissing Hand by Audrey Penn and Llama Llama Misses Mama by Anna Dewdney are great books to use to help ease transitions and to reduce the fears of being separated from parents. If you notice that your child exhibits worries and fears about growing up and losing his parents and these fears do not subside within several weeks, it is recommended that you seek advice from a mental health professional in order to identify if your child needs assistance from someone to reduce their fears. parties, and outdoor days. This time can be very exciting and fun, however it may also feel chaotic, unpredictable, and even sad for some children; children who are uncomfortable with change, children who have had a very successful school year and may anticipate a new school year with upsets, and children who may be switching schools for varying reasons. better from one activity to another or one class to another? change from one activity to the next. and then move on to the next activity. refer to the schedule when it’s time to do the next activity. that the next thing they’re going to do is go to dinner. now.” They already know what they’re supposed to do next.